Most run for the medicine cabinet when a headache comes on. Especially if it is a throbbing, brain-splitting migraine. But it turns out ginger – the vegetable – can be just as effective for treating migraines as prescribed medicine. 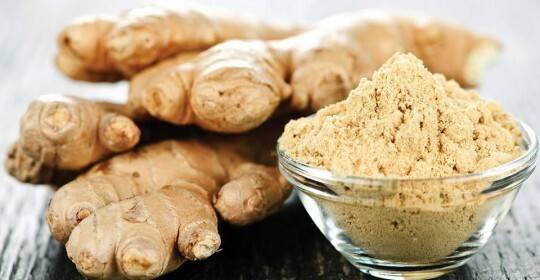 For thousands of years ginger has been used for its medicinal properties, including joint pain and inflammation. More recently, studies have confirmed ginger as an effective natural remedy for strong headaches. The latest research, however, is really making headlines. Scientists directly compared the effects of two different migraine treatments: ginger extract vs sumatriptan, a common prescription drug. The study looked at 100 adult participants with a history of migraines, over a one month duration. Participants took either a 250mg ginger capsule or a 50mg dose of sumatriptan at the first sign of a migraine. They did not know which treatment they were receiving. Both the single dose of sumatriptan and the dose of ginger decreased migraine severity by more than 60%, within two hours. In other words, ginger capsules were just as effective as sumatriptan. Interestingly, 20% of participants taking sumatriptan suffered side effects including dizziness, drowsiness and heartburn. The only side effect of ginger use was indigestion, experienced by just 4% of users. In fact, those taking ginger were so satisfied and impressed by the results that many reported they would continue ginger use after the study. 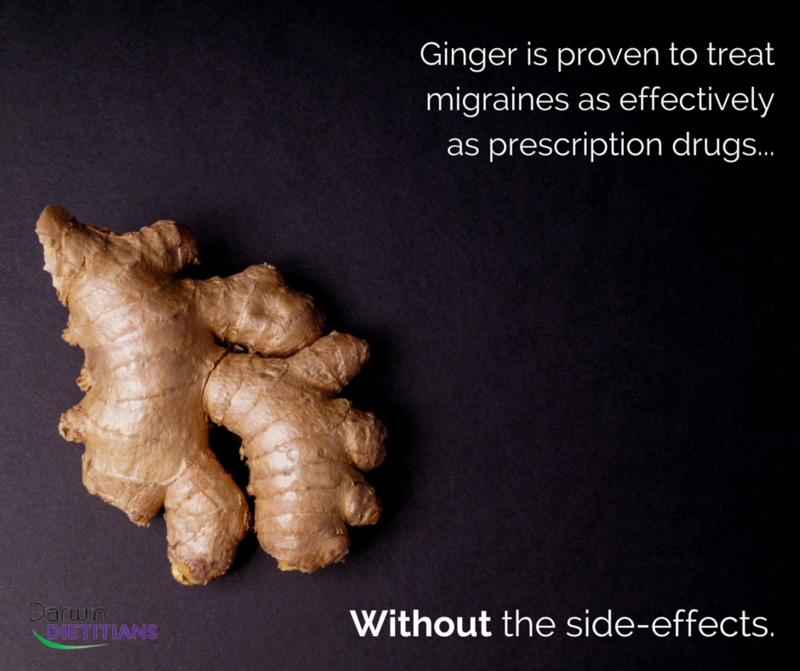 At Darwin Dietitians, we had always thought ginger helped to reduce the frequency and duration of migraines. But this is the first clinical proof that it helps with acute symptoms such as migraine severity.